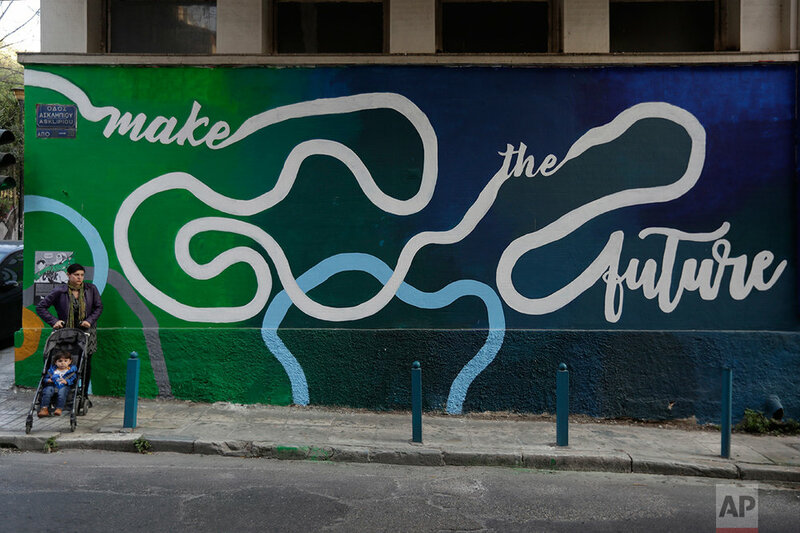 Over the past seven years, austerity has left visible scars in Greece's capital. 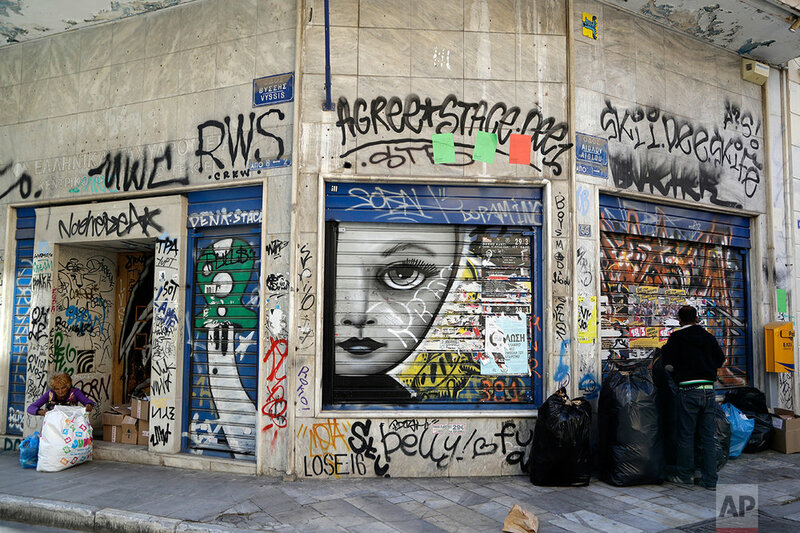 A walk around Athens reveals more homeless than ever despite some signs of a rosier economic outlook. Thousands of shops, mostly small businesses, are shuttered here and across the country. In what used to be a busy shopping arcade, closed stores are padlocked against a backdrop of hanging Greek flags. Whole families can be seen lining up for free meals at a growing number of soup kitchens. 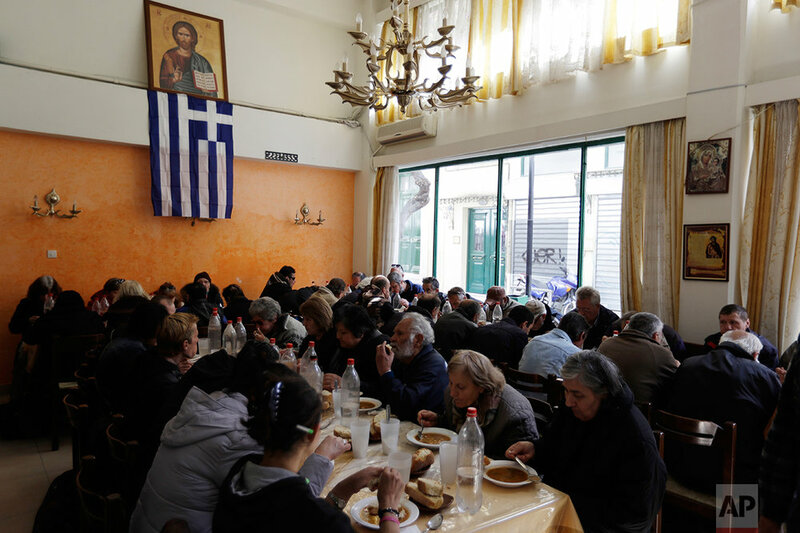 "Every day we feed 400 to 500 people, and this number has increased even more in the past two years," says Evangelia Konsta, organizer and sponsor of the meals offered by the Church of Greece in a run-down neighborhood in central Athens. On Tuesday, International Monetary Fund and European negotiators bailout negotiators reached an agreement with Greece's government to continue rescue funding in return for a painful new round of cuts and higher taxes over the next three years. High unemployment and a steady decline of living standards for most Greeks for seven consecutive years have had lasting effects. Greece has survived on international rescue loans since 2010, granted by the IMF and other countries using the euro currency in exchange for drastic cut in public spending and benefits. Greece is now in its third bailout. A few steps away from the church-run soup kitchen is a homeless shelter also run by the church. Guests in its tiny rooms include one family with their young children and a retired nurse suffering from cancer who is still waiting to get her pension application approved. Another shelter, the "Shelter of Love and Solidarity," has a great view of the ancient Acropolis that's barely noticed by the hundreds of homeless and poor who come twice a week to wash their clothes and take a hot bath. "The shelter is the best option for us because the government doesn't really do anything for us," says Ilias Kosmidis, 38, who has been sleeping on the street for the past two years. While waiting to wash their clothes, people at the shelter have developed friendships, and catch up on the news, including the French presidential election. Sofia Vitalaki and her husband Costas, both retired civil servants, have run the shelter since 1991. "It's not just the food," she says. "Most people want their dignity back and here we try to support them." On a corner of Monastiraki Square full of tourists and passers-by, a group of volunteers from the soup kitchen "O Allos Anthropos" (The Other Man), cook chicken with rice. In less than 20 minutes, 230 hot meals were delivered to people who waited more than an hour to get them. At the end of every month, it's become a familiar sight outside banks: pensioners waiting in huge lines to collect their monthly checks. Few know how to use ATMs. While in line, they fret over how to make ends meet after years of cuts to their earnings, worrying about more austerity being planned. They won't have long to wait till the next round of cuts. The government Tuesday finalized its agreement with bailout lenders to ax pensions further, starting Jan. 1, 2019. 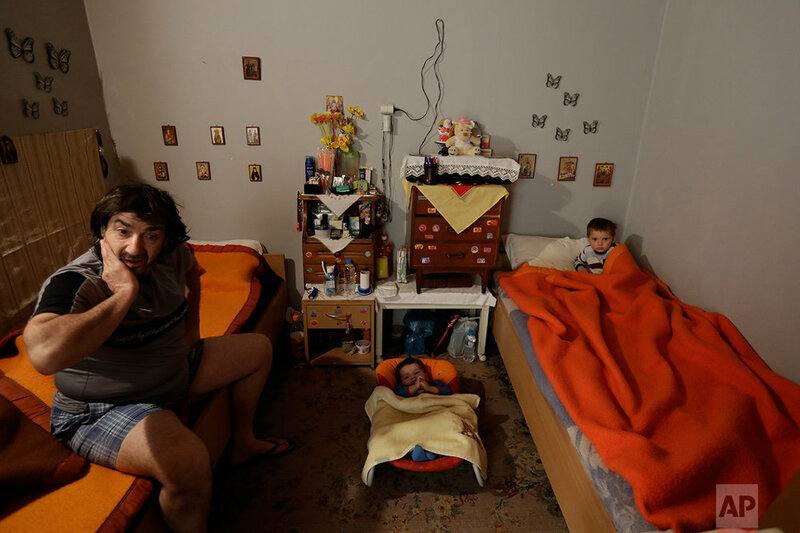 Test from the AP news story, AP PHOTOS: Greek poverty deepens during 7 years of austerity, by Thanassis Stavrakis. Demetris Nellas contributed to this report.